Automated and personalized direct communication between businesses and their clients via text or voice interfaces will be one of the future major trends. This shift will also change the user behavior and hence the communication strategy of businesses massively. Some experts predict that 50% of all search requests in 2020 will be done via voice interfaces. Just to repeat – we are talking about 2020. Which is more or less tomorrow. Of course, the share of voice searches could end up lower. But we strongly recommend to businesses to investigate and develop a strategy regarding that topic. For larger enterprises it is usually easier to relocate resources towards such projects. However, also for small and medium enterprises there a possibilities to take the first and affordable step towards conversational interfaces. At the end you might probably have a chatbot or an Amazon Alexa skill in place. But you could definitely start with a live chat on your website. While the live chat is text based, you can gain valuable information from it. You will learn how people are asking for specific topics, which questions are very common or which words are used to describe specific issues. All of this information can later be taken as a content and dialogue basis for a chatbot. And, of course, businesses benefit from an additional contact point on the website which improves the user experience at the same time. 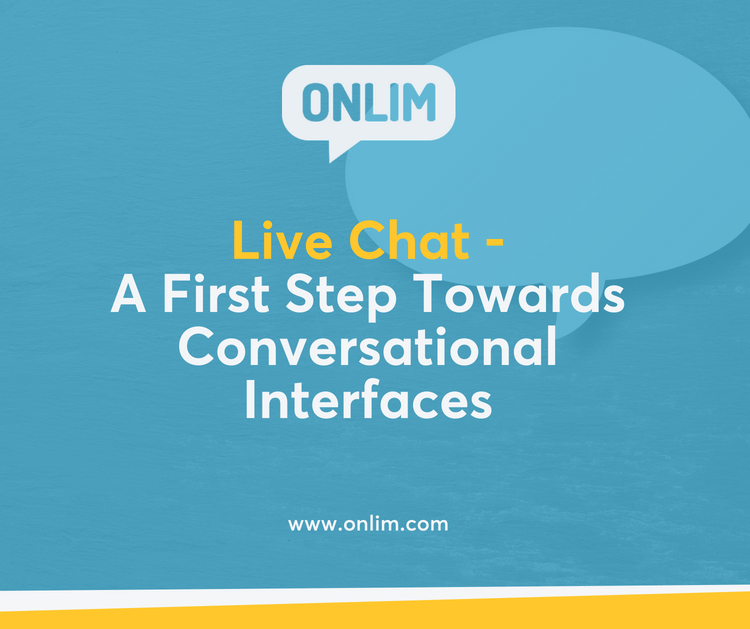 Dedicated to small and medium enterprises Onlim launched a “Live Chat” feature 2 weeks ago, which can easily be implemented on websites. According to your office hours and availabilities, you can set up automated answers with a few clicks. This ensures that users can either chat directly with an available person or they can leave a message and will be informed immediately when an answer can be expected. This will help you collect leads of potential clients. 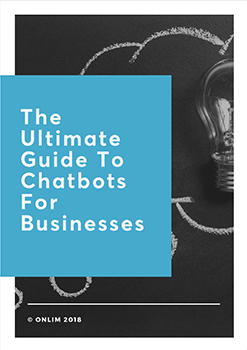 In addition, the business collects important information and content such as dialogues and direct communication patterns which can then be used for the next step – the chatbot to answer all those questions automatically. No matter if live chat, chatbot or voice assistant – the time for businesses to leverage those technologies is now!